UFC fans got bad news a few weeks ago when UFC Middleweight Champion Robert Whittaker -- who was recently promoted to "official" champion following Georges St. Pierre's title vacancy -- pulled out of his scheduled title defense at UFC 221 against Luke Rockhold with what is said to be a serious medical issue. Now, Rockhold fights Yoel Romero for the interim middleweight belt, with the winner hopefully lined up to fight Whittaker later this year to unify the belts. But with Whittaker's health status in question and no scheduled timetable for his return, there's a chance the winner of Rockhold-Romero will have to make his first title defense against another fighter. That's why this weekend's five-round main event at UFC on FOX 27 between Ronaldo "Jacare" Souza and Derek Brunson becomes so important. In a middleweight division that all of a sudden has a bunch of question marks with Whittaker's injury, GSP giving up the belt, and Michael Bisping losing the belt and on the verge of retirement, the door is open for fresh contenders to come in and fight for the belt. And the winner of Souza vs. Brunson will be at the top of the title contenders' list after this weekend's fight. Although Souza is coming off of a TKO loss to Whittaker, it's hard to forget how good he's looked during his UFC run. The former Strikeforce middleweight champion is 7-2 all-time in the Octagon with finishes in six of those victories, including stoppage wins over the likes of Vitor Belfort and Gegard Mousasi. The loss to Whittaker was a temporary setback, as was a controversial split decision loss to Romero a few years ago, but all told, Souza has been one of the most consistent, dangerous finishers at 185, and with a big win over Brunson, would be right there in regards to getting a title shot. And at 38 years of age, Souza has to know that a title run has to start now. 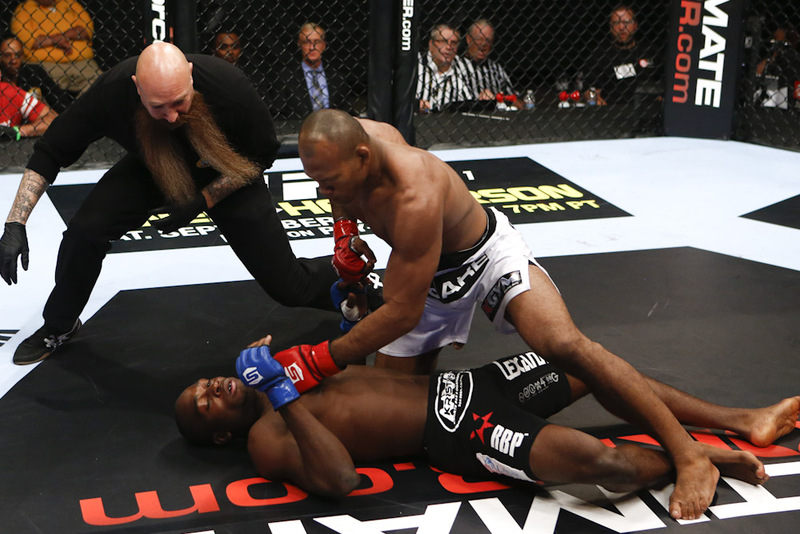 As for Brunson, he's also had a tremendous run in the UFC since coming over from Strikeforce. He's gone 9-3 in the Octagon, including seven finishes, with six knockouts among those. Sure, he's lost a few times, with TKO losses to Whittaker and Romero holding him back from title contention, plus a very controversial unanimous decision loss to Anderson Silva, but overall Brunson has been an incredible fighter in the UFC and has transformed from a wrestling-based lay-and-pray artist into one of the most dangerous and exciting knockout artists in the sport. He continues to improve, and at age 34 seems to be finding his groove right now. A title shot could loom with a win over Souza, though it won't be easy. 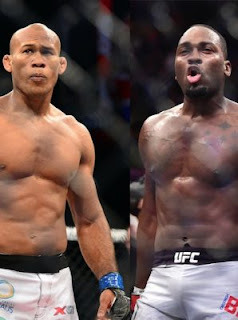 That's because this fight is a rematch, with Brunson and Souza having met back in 2012 in Strikeforce, when Souza knocked Brunson out in the first round. Obviously that fight was a long time ago, and both men are completely different fighters now, but it's still something to keep in mind when considering who has the upper hand this second time around. The first time these two met, Brunson didn't have much in the way of striking, but this time around it's arguable he is the more successful striker based on recent results. This rematch could end up finishing quick, but there's a good chance it could be a very different fight even if Souza emerges victorious once again. With so many moving pieces in the UFC middleweight division due to a number of factors, all of a sudden UFC on FOX 27's main event is a big deal. Both Souza and Brunson are elite middleweights, and both men have had tremendous UFC careers to date. We still have to wait and see what the result of Rockhold vs. Romero will be, but after those two fight, the winner of Souza and Brunson will be in a great position to contend for the title if Whittaker remains out for an extended period of time. Now let's just hope for a great fight.